It was a good day for table buying. And I couldn't pass up a few smalls. Whew! I'd say it was a decent haul today! See anything you like? Yes! I love that big rusty table! Great find! 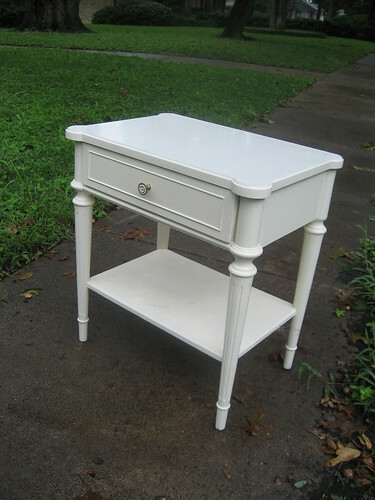 Beautiful white table...I like that red metal thing too. What is it? Love the white table!! You always find the good stuff!! 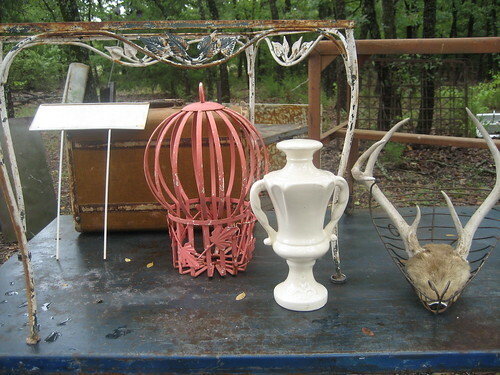 LOVE the white rusty table, and that white urn/vase thingy, really cool! Oh What good finds you got today !!! My Goodness wish there were this many good finds in our neck of the woods ..!! How Much fun you had !! The bird Cage would be awesome turned upside down and a light kit added to make it into a hang lamp ..maybe paint it white or leave it pink ..and add a big prism from the bottom ...Oooo wouldnt that be fun !!! There sure isn't going to be a drought of tables at this show! Love the big Mexican iron one. I love them all, but especially the rectangular, rusty, scrolly one! Sandi, other than an estate sale and a local junk man,I hit a few places that you would see located on my lower left hand column. With all the rain, I didn't find many garage or yard sales. Sara, the light fixture idea is great! I love it! Thanks for y'alls input. I always like to hear what y'all like. Keeps me on my toes regarding what's hot. I don't know WHERE you find all your goodies! Great tables, Mindy. 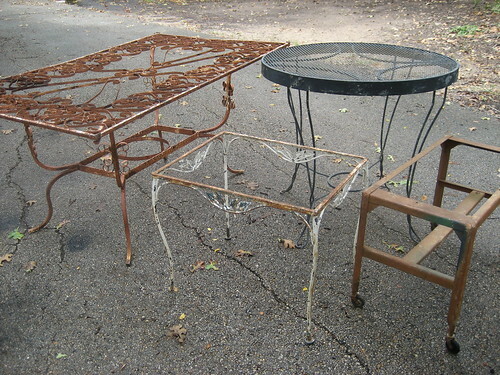 That large rusty one is fabulous! I feel so privileged to be able to see those "hidden" pictures of the newest goody in your flickr photostream! Sweet! Are you going to blog that too or just make them wait for Warrenton? In the words of Bachman-Turner Overdrive, "You ain't seen nothin' yet!" Well, that big table seems to be a hit. Yea! David, I hadn't even told you about that one. Good, huh? Oh, I imagine I'll blog about it...maybe today! Looks like you will need a semi truck to get all your goodies down there!! That table is my favorite. You find the most unusual pieces!